Personally, I was expecting something more along the lines of Deafheaven. Now, this is something to get tattooed about. These dudes look like they could have been Lou Barlow stunt doubles, members of Promise Ring, or the guys who answer your phone in the morning at the office when you forget your password and locked yourself out with the old three strike rule. 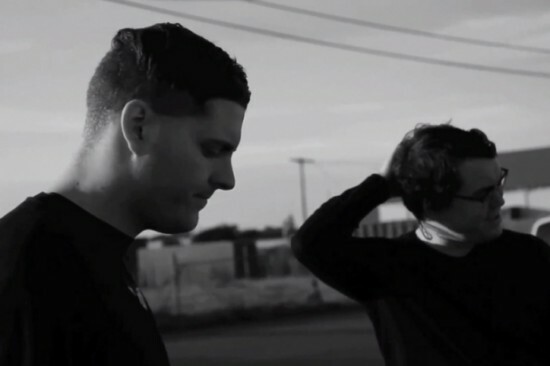 When you start following Deafheaven (And how can you not after that first blast), you’ll like read comparisons to Liturgy, Mogwai, Godspeed, or even Neurosis, for like those aforementioned bands, the music of Deafheaven has that ability to convey real, large emotions through the use of absolutely massive crescendos. Massive, that’s Deafheaven. And despite their lineage, Palms have a ways to go before they reach that level. Look for Deafheaven’s new album to be out June 11th. Palms have a new album coming out, too, but honestly, I can’t muster the interest to copy and paste a date.